We love our friends and neighbors. We are happy to support all of our local merchants, especially those who are also part of our FUELhouse community. If you’re a member of FUELhouse and would like to see your business here, please email us. evo sells ski, snowboard, wakeboard, skateboard, outerwear, men's clothing and a newly expanded women's clothing section. 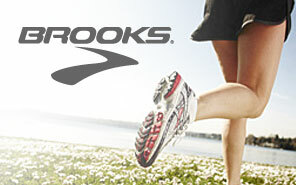 Brooks designs superior running shoes and apparel for men, women, and kids. Free shipping on all orders. Run happy. The gift shop for the thoughtful procrastinator! 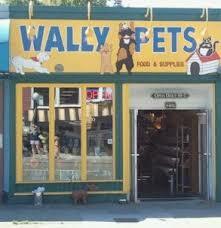 Located in the heart of the Fremont neighborhood in Seattle. Neighborhood dog and cat pet boutique pet store and bakery. Local fine art hand crafted in the heard of the city Pike Place Market. Open Art Studio and Fine Art Gallery. Cappy's Boxing Gym in Seattle, WA is the gym for you! Come experience our Boxing Fitness Classes, Sparring Skills Classes and Youth Boxing program! When seeking care, there are several options out there. So, what sets us apart? Why choose us? The Kinetic Way is our unique process. It's the whole package experienced by each and everyone of one of patients. Wendy Lavin, PT, MPT, MOMT, CSCS, FAAOMPT. She's a rockin member of FUEL and offers free injury screens at the HOUSE several days a month. Northwest Fit Meals is a Seattle-based Paleo/clean meal delivery service geared towards fueling Paleo athletes and non athletes living the Paleo lifestyle. They bring delicious food to the house every Monday for our members. We’ll help you optimize your diet and health. It’s a process and we are here to help you through each step. We know how important food is, and we’re not here to ruin that for you. MiiR designs products that empower people to get out and live active, connected lives, while empowering others to rise above poverty. El Diablo Coffee Company – Queen Anne's Local Cafe. Welcome to El Diablo Coffee Company! Welcome to Cloud City Coffee! ... At our café, you will find locally-roasted specialty coffee, delicious breakfast and more. Stone Way Cafe is a unique and rustic cafe with weekly live music, great happy hour and friendly staff. Go visit Steph at nola, a full-service Seattle barbershop and hair salon, is located on the Burke-Gilman Trail in Fremont. Based in Seattle and providing services residential clients, commercial clients and public agencies. Project portfolio, profile and contact information. Lake and Company Real Estate, complete property search and sold data, interactive maps and aerial photos of real estate in Seattle Washington. We are a small team with a focus on engaging the community and great businesses with unique projects and a holistic approach to development.